The privacy rights of fictional characters are real, yo. I mean obviously they aren’t, but you wouldn’t know that from reviewing documents the FBI recently produced in response to a Freedom of Information Act request. 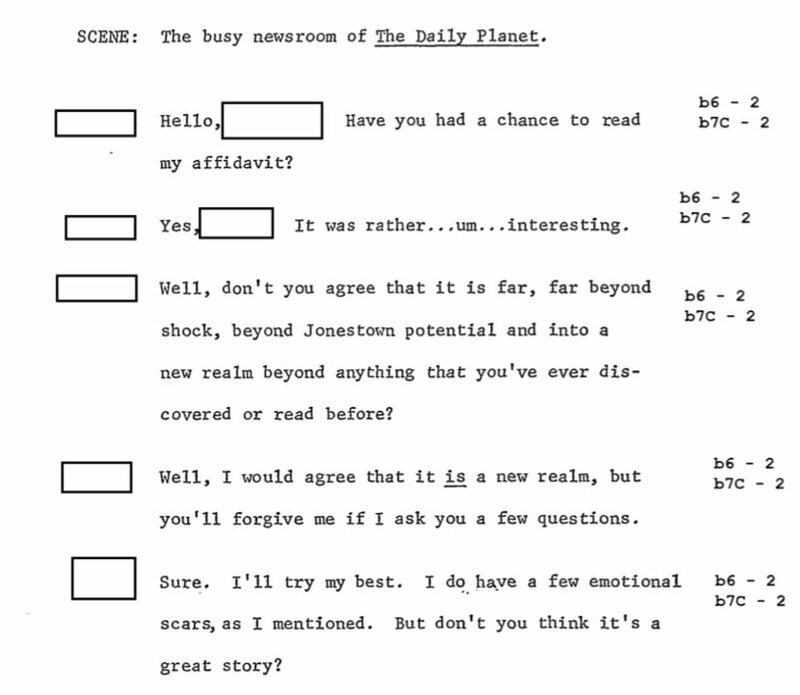 The FBI produced documents related to Scientology pursuant to a request by Emma Best, an investigative journalist at MuckRock. Sure, she had to sue the agency because they denied her FOIA request at first, but now they’re producing the documents at a rate of about 500 pages per month, subject to privacy redactions. Except the error is totally understandable. Worthy of derision and mockery to be sure, but I get it. I’ve been that attorney tasked with drawing tiny boxes on page after page after page of documents for days… weeks… months on end. It is tedious work. Mistakes? They happen. And everyone involved would much rather you over redact than produce information that should be redacted. And it isn’t like you are really reading the documents for substance, you can’t hit anywhere near an acceptable rate if you’re taking the time to read and comprehend the document. No, you’re scanning the documents looking for the material that needs to be redacted, drawing a little box and moving the hell on. Yes, some will probably get yelled at over this. They probably even deserve it. But it is far from a unique story.